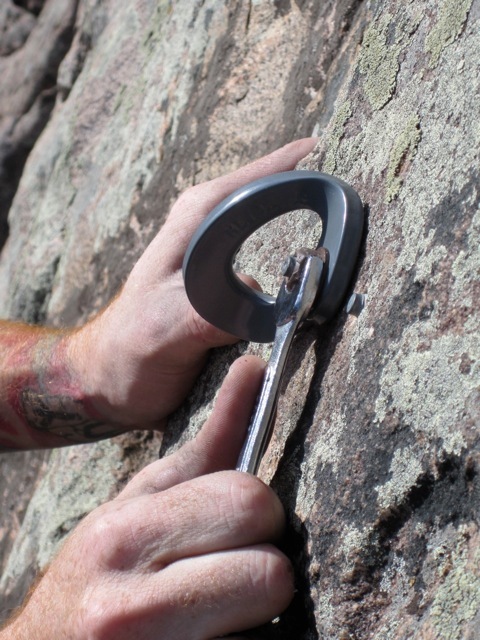 SoCo CRAG members have been replacing anchors with new gear from ARI (Anchor Replacement Initiative) and our BMF (Bolt Maintenance Fund) around the Wet Mountains. If you see an anchor in need of replacement i.e., sketchy placement, rams horn, stacked washers and chain, wobbly bolt, etc. let us know by email or phone.